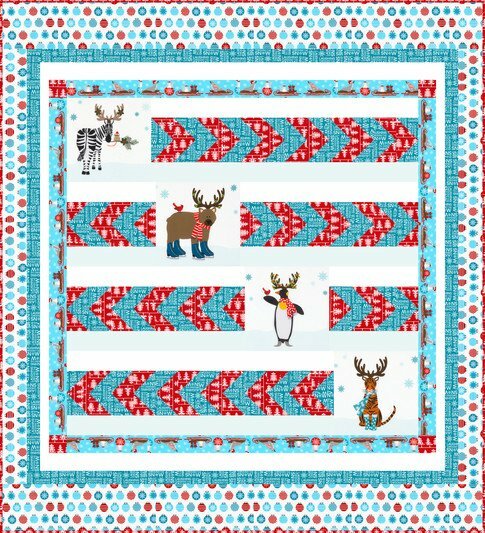 The Snow Drift Quilt Kit features large fun animals dressed for winter with bright red and aqua wintery prints. The Snow Drift Quilt Kit includes the pattern and the fabric for the top and binding. The finished quilt measures 54.5" x 60".